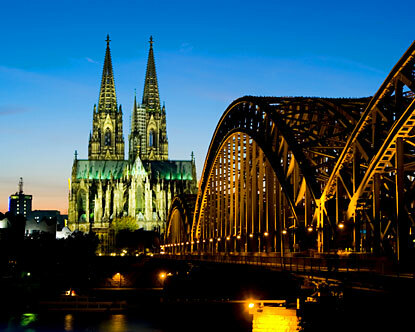 Very well known for its cathedral, cultural diversity, carnival and koelsch beer, Cologne is a city that draws visitors back time and time again. The heart of Cologne is the world-famous cathedral, the city's pride and joy that towers over everything around. 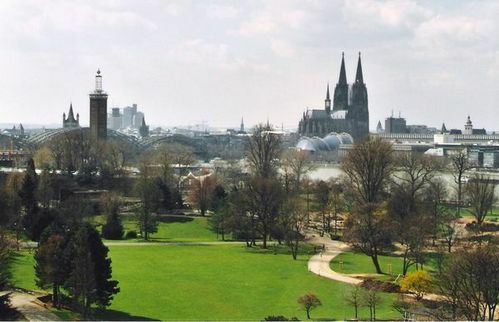 True locals are quite literally overcome with emotion when they glimpse the spires of Cologne cathedral in distance on returning from their travels. This famous landmark is one of the largest churches in Europe and one of Germany's top attractions, with more than six million people visiting the UNESCO World Heritage Site every year. At approximately 157 meters in height, the Gothic cathedral has the second tallest church spire in Europe and houses the shrine of the Three Wise Men. Another highlight at the cathedral since 2007 is the window by artist Gerhard Richter. You can climb one of the two towers and the effort is rewarded by a fabulous panoramic view! To experience Cologne's special appeal for yourself, drop in to one of the traditional and welcoming bars in the area around the Alter Markt and Heumarkt squares or the large brewery taverns scattered throughout the old quarter. Koelsch - the city's signature beer - never stops flowing, Rhineland specialties are served and there is so much friendly and light-hearted revelry that it feels like one big year-round carnival. 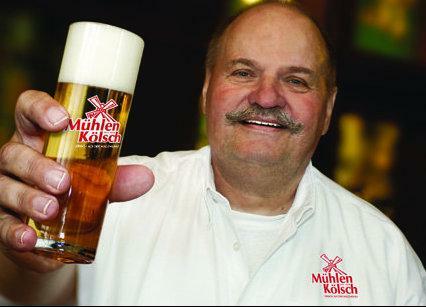 Each brewery's koelsch has its own individual flavor. The beer waiter, known as Koebes, remain immune to the general merriment: a certain gruffness is the hallmark of a genuine Koebes. They will refill empty koelsch glasses without being asked, so if you have had enought to drink, you will need to cover your glass with a beer mat - or don't drain your glass. The best brewery taverns include the Paeffgen, Gaffel Haus and Malzmuehle - no trip to Cologne is complete without calling in one of these! However, there is much more to Cologne than its bars and breweries, as proven by the many significant museums, ArtCologne and other art fairs. The best known museums include the Ludwig Museum, the Romano-Germanic Museum with exhibits from 2,000 years of Cologne history and many, many more. If you are looking to stretch your legs, the Rhine park is a great idea. One of the largest parks in the city, situated on the Eastern banks of the river and therefore regarded by locals as on the "wrong side" of the Rhine, it is quite an adventure to get there. You take the cable car that departs from the Zoo und Flora botanical gardens and crosses the river. While you're there, ascend to the 100 meter high observation deck of the Koeln Triangle skyscraper for what is probably the best view of Cologne's old quarter and cathedral. Although the scenery is mesmerizing, don't forget to pick up a souvenir: original Eau de Cologne is as much a part of Cologne as carnival and koelsch!